Find out about our proposals to regenerate Rotherham Town Centre. Find out about building regulations and what our consultancy can do for you. We provide pre-application advice and welcome discussions about your plans. Find out if you'll need additional consent for work in a protected area. Visitors to Rotherham will soon benefit from 1000 free weekend parking spaces in the town centre. Rotherham Interchange is set to reopen this Sunday 3 March, following a £12 million refurbishment scheme. The UK’s first Tram Train was today (Thursday 25 October) launched at the newly opened Rotherham Parkgate Tram Train stop. Work has begun on the new Gulliver’s family theme park resort – with the developers looking to open to the public in spring 2020. The President of the Royal Town Planning Institute (RTPI), John Acres, visited members of Rotherham Council’s successful planning team on Friday (14 September). A development partner for Rotherham’s Forge Island has been named. Work has been proceeding apace as Rotherham Interchange’s £12million refurbishment programme continues. Plans to get rid of old concrete bins and replace dozens of damaged bins across the borough are set to get the go ahead. A significant milestone was reached today as the ‘key’ to the building that will house the new £50m McLaren Composites Technology Centre (MCTC). Rotherham Council’s Planning Service has won Team of the Year at a prestigious national awards ceremony. Life is sweet for Ann’s Candy! Rotherham Market trader Ann Savage is playing it cool in the current heatwave after expanding her popular sweet stall to offer ice creams and slush drinks! Residents are being asked for their views on the future design of Rotherham markets as part of Rotherham Council’s plans to regenerate the town centre. Work is due to start next month on a long-awaited redevelopment project which further boosts Rotherham’s continued regeneration. Rotherham Planning Service is a finalist in the category for Local Authority Planning Team of the Year at the Royal Town Planning Institute’s (RTPI) Awards for Planning Excellence 2018. Work on an innovative housing scheme, set to attract first time buyers, will begin next month at a key regeneration site in Rotherham. Rotherham Council has this week approved plans to re-develop a prominent town-centre building. Rotherham Council is consulting on some changes to its draft local plan required by a Government Inspector. A topping-out ceremony was held to celebrate a huge milestone in the construction of the brand new University Centre Rotherham, located on Doncaster Gate in Rotherham town centre. Rotherham Council is proposing changes to the way household waste and recycling is collected and wants to hear residents’ views about how it can make this happen. Visitors to Rotherham saw progress being made around Forge Island this week. Rotherham Council is raising awareness of responsible gum disposal with a new campaign to encourage people to appreciate their urban environment. Rotherham residents have given their overwhelming support for the proposed introduction of new powers to improve Rotherham town centre. Rotherham Council is regenerating Rotherham town centre, making it an attractive place for people to visit and do business. Visitors to Rotherham will see progress being made around Forge Island this month as work continues to prepare it for development. Sheffield and Rotherham Wildlife Trust, in partnership with Rotherham Council and other community partners, have been awarded £514,000 of National Lottery money through the Big Lottery Fund. Rotherham Council is to consult the public on additional housing sites in the Dearne Valley as part of its Local Plan for the borough. Rotherham Council is looking to improve the appearance of a major route through the town centre with progress on a group of derelict buildings – described as an “eyesore”. Oil and gas firm INEOS Shale has applied to Rotherham Council for planning permission for an exploratory well on an area of land in the south of the borough. Rotherham Council has received formal notification from energy company INEOS that it intends to undertake a 3D seismic survey across part of the borough for six months, starting in early June. Local residents are thanked for their patience following a large fire at a waste recycling site on Wharf Road, Kilnhurst. Residents in South Yorkshire will be encouraged make the most of food and save money as part of a national campaign to cut down on food waste. South Yorkshire will play host this week to a high-level delegation from the Lithuanian Government who are looking at public private partnership projects in the county. Demolition is already well under way on the former Tesco building in Rotherham Town Centre – as the regeneration of Forge Island takes another step forward. The pioneering Tram Train project in South Yorkshire will take a significant step towards completion in the coming weeks as construction work continues. Rotherham Council has officially taken ownership of the former Rotherham Magistrates Court building - bringing the Council another step closer in its plans to regenerate the town centre. Gulliver’s family theme park resort’s 'most ambitious plans yet' will come to fruition now that the Secretary of State has agreed with Rotherham Council that development can go ahead. Work on a key site in the heart of Rotherham town centre could start as early as next year after it was bought by Rotherham Council this week. Plans for a university centre in Rotherham are taking a step forward after a £3.5m funding injection from the Sheffield City Region. Love is in the air – and on the ground - ahead of Valentine’s Day with a new campaign to encourage residents to get involved in making Rotherham a cleaner, happier place to live. Key road improvements have been given the green light as a funding bid by Rotherham Council was approved by Sheffield City Region this week. Would you like to take a look behind the scenes at the award-winning facility which is revolutionising the way we deal with leftover household waste in Barnsley, Doncaster and Rotherham? A global urban design company has been picked to develop a masterplan for Rotherham town centre. Community projects urged to bid for funding. Rotherham Council has been given the green light to buy Forge Island from Tesco and prepare it for investment. Rotherham Council is stepping up its fight against fly-tippers in the borough, by bringing in new powers and higher fines. Dinnington is set to become the first area in Rotherham to start developing its own Neighbourhood Plan. Rotherham Council has announced plans to buy 24 long-term derelict properties to refurbish and let as Council homes. Rotherham Council is proposing to develop a Masterplan which will provide further details on how the Town Centre will be developed in the next five to ten years. Plans to open a family theme park adjacent to Rother Valley Country Park are another step closer after Rotherham Council formally agreed the sale of land to Gulliver’s Family Theme Parks. Dinnington could become the first area in Rotherham to have a Neighbourhood Plan. A £5million capital investment by Rotherham Council to repair the borough’s roads and potholes over the next two years is well underway, with over half of the identified sites already completed. The sites earmarked for new homes, industrial and retail space in Rotherham will be put forward for council approval for consultation at the next Council meeting (16 September). 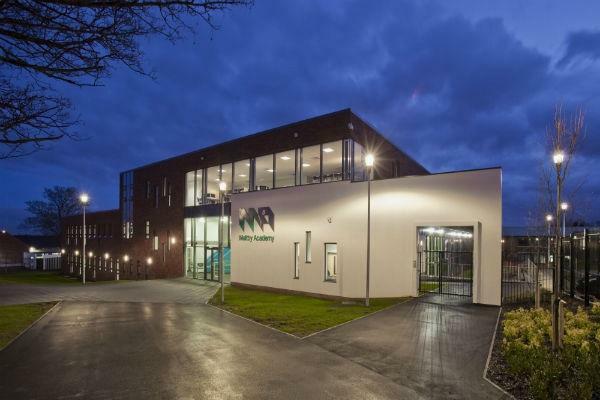 Several new buildings across Rotherham, including houses and a school, have been acclaimed in a regional building excellence awards. New laws to clamp down on people illegally abandoning horses have been welcomed by the Council. The new waste treatment facility at Manvers in Rotherham has taken delivery of its first waste. For two days in October, the Council hosted visitors from across the world as part of a European Union conference on Climate Change Innovation. Clifton Park gets the green thumbs-up! Rotherham's Clifton Park is one of the very best in the UK - and that’s official. Pupils from across schools in Rotherham have been getting creative to help design a piece of artwork to be displayed on each of the six turbines at Penny Hill wind farm. Rotherham's housing plan for the future has been given the green light by government inspectors - including the go-ahead to set a local housing target. Building control officers from across South Yorkshire and the Humber swapped their inspection routines last month to raise money for one very special building! Several new buildings across Rotherham have been acclaimed in a regional building excellence awards. Rotherham recyclers are being reminded that from June each of the borough's four Household Waste Recycling Centres will be closed for one day each week. Rotherham's Local Plan - the Council's planning blueprint for the next 15 years - has almost passed its final hurdle, providing the borough's housing target is increased. Planning to build or make alterations to a building? Find out about the Core Strategy and future development plans. Interested in building new homes in Rotherham?